(Newport Beach, California) — The Professional Coin Grading Service (PCGS) will display the Miller/Ashmore Morgan Dollars Super Set, Circulation Strikes (1878-1921) at the Long Beach Expo in the Long Beach Convention Center on February 22–24, 2018. 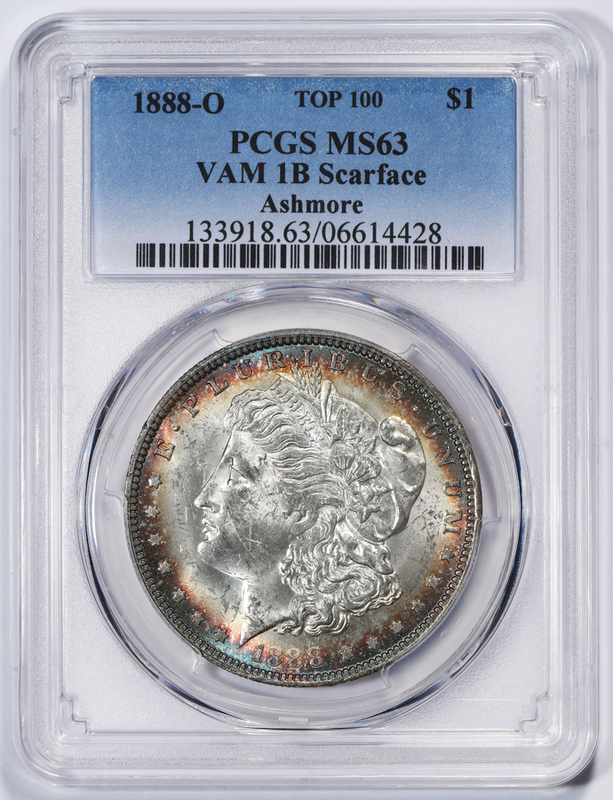 The set can be viewed at Booth 404 — the PCGS Set Registry Display Area. The Morgan Dollars Super Set, Circulation Strikes (1878-1921) consists of 331 Morgan silver dollars, including the standard Morgan major variety rarities and the Major VAM set with many scarce VAM rarities. The Miller/Ashmore Super Set currently tops the PCGS Set Registry at 99.7% complete and an overall set rating of 61.86. 1892-S Morgan Silver Dollar VAM 2 Doubled Date, Mint State 61 Deep Mirror Prooflike. 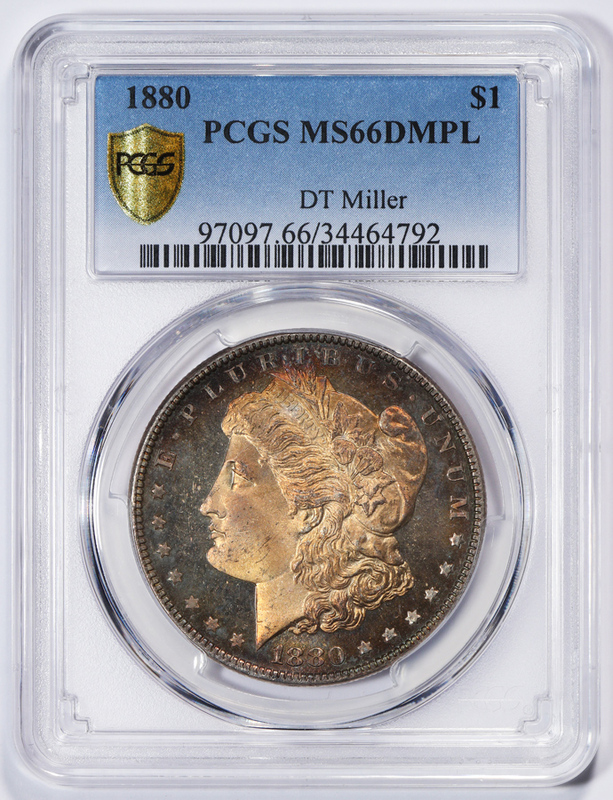 One of David Miller’s favorite coins in his Miller/Ashmore Super Set. Single finest graded. David Miller is the collector of this incredible set of Morgan dollars. “I’m hoping to enjoy my collection along with friends and grandchildren for a long time,” stated Miller. Miller has been working with Ash Harrison, friend and an established coin dealer, for 17 years. They began working on this Super Set together in 2007. Don Willis, president of PCGS and avid coin collector himself, recognizes and lauds the accomplishment. “The Miller/Ashmore Morgan Dollars Super Set is a testament to a dedicated collector working with a great dealer to achieve an incredible collection of Morgan Dollars. I’m so pleased PCGS was able to assist Mr. Miller in achieving a fantastic goal,” said Willis. 1888-O Morgan Silver Dollar VAM 1B Scarface, MS-63. 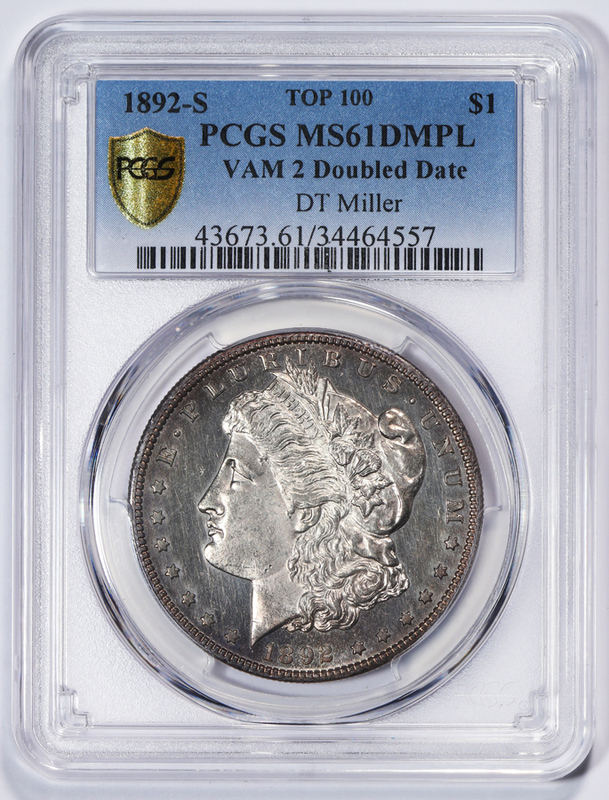 One of David Miller’s favorite coins in his Miller/Ashmore Super Set. The Miller/Ashmore Morgan Dollars Super Set contains many coins that are the finest of their variety and six that are the single finest graded. These coins are the 1878 7/8TF Weak VAM 44 Triple Blossoms MS-63, the 1878 7TF R78 VAM 86 Doubled Liberty in AU-58, the 1878 7TF R78 VAM 166 Tripled Eye in AU-58, the 1881-O VAM 27 Doubled Ear graded MS-63, the 1888-O VAM 15 Doubled Reverse in MS-62, and the 1892-S VAM 2 Doubled Date graded MS-61DM. 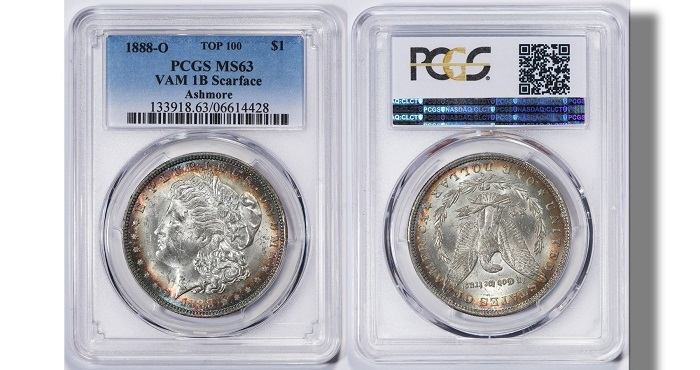 PCGS will have the entire collection on display for FUN Show attendees. 1880 Morgan Silver Dollar, Mint State 66 Deep Mirror Prooflike. Since its founding in 1986, PCGS has certified over 38 million coins with a total market value of over $32 billion. For information about PCGS products and services, including how to submit your coins for authentication and grading, visit the website of the PCGS or call PCGS Customer Service at (800) 447-8848.